I love to travel but I admit that sometimes I am out of funds and that’s normal. I am not that rich to support all my travel needs and that is why I am working as a freelancer. If you are a budget traveler like me who dream to wander around the world but don’t have enough funds, applying for different freelance jobs around the world is one of the best options. There are many freelance jobs that you can do while traveling the world and the most common jobs that you can apply includes being a tour guide, where you can travel together with the tourist as you work. You can also be a waiter in different restaurants globally. Or you can also work in a hotel outside the country. But did you know that working as an English tutor is now a trend? Since English is now the global language, everyone aims to learn English fluently. If you think that you have the qualities needed to be an English tutor, then this job is totally for you. If you are looking for the best country to teach English, you can consider China as one of your options. 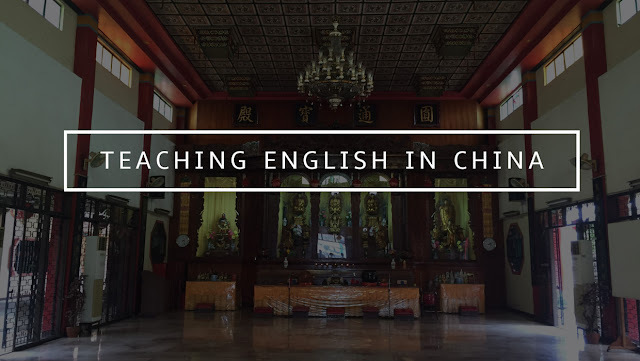 China offers opportunities for those who are interested in teaching English in their country. China wants to improve the English language in their country and that is the reason why the government highly recommended all the citizens to study the English language. Why choose China instead of any other countries? China is one of the best choices when in terms of choosing where to teach English because they have plenty of vacant English teaching jobs so looking for hiring companies is easy. You can search all over the internet for job vacancies and applications. Traveling to China is accessible and easy. You don’t need so much effort to stay in China unlike in any other countries that needs too much requirements and will take a lot of time and effort. Travel expenses are not that expensive. Traveling to China is affordable in a way that everyone even the lower class can earn for the airfare if you really want to. Teachers in China can expect competitive salary which includes variety of benefits and bonus that will depend on the type of school you are applying. Salaries in China are lower than other parts of Asia but keep in mind that the cost of living in China is much lower than any other countries in Asia, so you can expect that employees living in China can save up and earn from their salaries. Teaching English in China does not require too much of your experience. But if you are interested in teaching, here’s the requirements need for you to have the chance of having a slot in teaching in China. A Bachelor’s Degree. Of course this is given. But to be fair, they are accepting any kind of Bachelor’s Degree. So matter what field you are into, you can still teach in China. A TEFL certification (120+ hours). Some schools will still accept a 100-hour certificate, but 1st-tier cities like Beijing and Shanghai require at least 120-hours of TEFL training. Teaching experience is a plus. If you have any teaching related job in your previous work, then you can have the advantage in the application process. They prioritize those who have teaching experience than any other. Can speak and write in fluent English. Of course you are applying as an English tutor, so you need to speak and write in English that is above average. You must have excellent English skills both written and verbal. So there you have it. Teaching in English in China is popular and in demand right now and I believe that this is a good job that you can do while doing your passion of travelling abroad. It can be done as a regular job if you want so you can earn more, or you can do it as a freelance job so you can have time for your travel. Whatever you want it to be done, both can help you to earn and save up for your traveling funds. I suggest to research about job vacancies in China, choose the best company that suit your needs, and apply for the position. In that way, you can start earning and working as a professional English teacher abroad. Since you love to travel, China is a great country to explore too. You can explore and wander around the China while you are working there. They have so much tourist spots to offer, like the Great Wall of China, Potala Place, Victoria Harbor, Li River, The Yellow Mountains and many more. Working while traveling is fun, so start as early as now.